Oracle has a long history of interactive tools for DBA and, as usual, the name has changed at each evolution for marketing reasons. SQL*DBA had a Menu mode for text terminals. You may also remember DBA Studio. 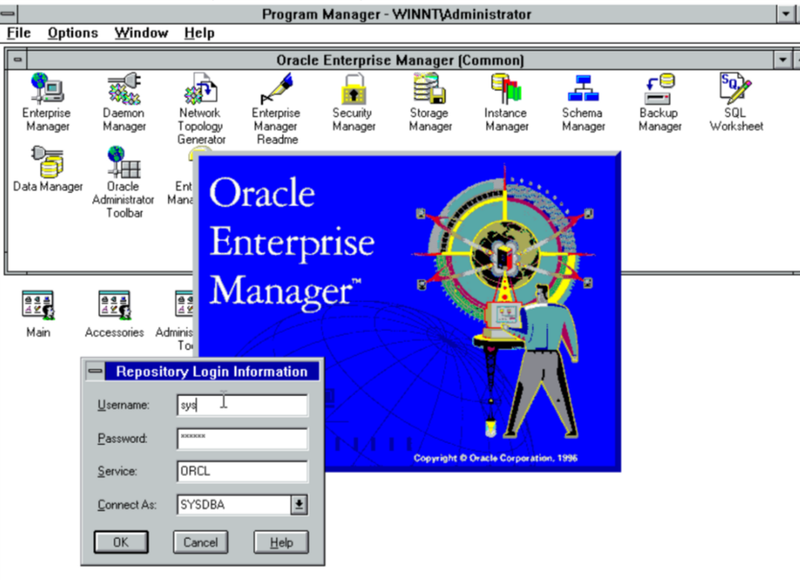 Then called Oracle Enterprise Manager with its SYSMAN repository and also referred to as OEM or EM. The per-database version has been called OEM “Database Control” and then “EM Express” in 12c. The multi-database version has been called according to the marketing tag “Grid Control” in 11g, and “Cloud Control” in 12c.